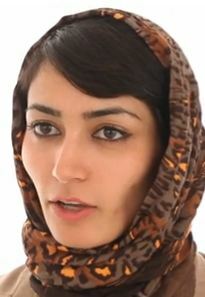 Fereshteh Forough Fereshte Forough hails from a refugee family that has moved to Iran after the Taliban took control of Afghanistan in 1996. Fareshteh and her family returned once the Taliban regime has been overthrown. She received her bachelor’s degree in computer science from Herat University and a Master’s degree (Engineering of Database Management System) from Technical University of Berlin in Germany (2008-2010). Fereshteh is the founder and CEO of Code to Inspire which is the first ever only female coding school in Afghanistan. Established in Herat in the year 2015 the school now looks to expand in Mazar-e Sharif. Upon returning to her country, Forough opened the first ever all female coding school in Afghanistan. “When we started recruiting girls in Herat in the fall of 2015, we wanted to show them their value and empower them to break down traditional barriers,” said Forough. She is one of the few women to join Afghanistan’s rising technology sector. Her coding school trains 50 girls and teaches elementary web design, along with mobile app development. The school was among the few recipients of the Google Rise Award in 2016. Code to Inspire has the government’s support but it is otherwise considered improper for women to study and work with men. This was one reason why Forough decided to open an all women school where she would be able to provide the students a safe learning environment. She believes that this school would eventually become these women’s stairway to success, opening up doors to jobs in the tech market which allows individuals to work from home. The coding program at Code to Inspire is free of charge and easily accessible. Whatever skills the women learn at school can be used in Afghanistan’s growing tech job markets. Forough aims to empower more women that way, and wishes to expand CTI. She speaks Dari, German and English. Afghan Citadel Services currently has ongoing or finished projects worth approximately $500,000. Among the projects the company has completed are a patient-management system created for Afghan hospitals and a student-registration system for universities and private schools. Recently (2012), the company has opened new offices, including one in the capital, Kabul. Mahboob has also hired more staff to meet needs as the company's business expands.· The company is also expanding into other sectors. Early 2012 it partnered with Film Annex (Mrs. Fereshte Forough see picture left), an online film distribution platform, to launch the Afghan Development Project. The project seeks to show "a new face" of Afghanistan by broadcasting current events-related videos, interviews, and news clips. Her company is also working with Film Annex to equip Afghan schools with Internet access in order to connect students with the outside world -- and discourage them from joining the insurgency. Women's Annex Foundation was initially established to financially empower the women and children of Central Asia. Now that vision has been expanded to worldwide cause, including impoverished children in Mexico and soon the United States. The reality is many women have no access to the internet. Women's Annex Foundation, Inc. was established as a not-for-profit 501 c-3 to help facilitate, grow, and build access to the internet and "Digital Literacy". Code to Inspire (CTI) is an after-school program founded by Fereshteh Forough in January of 2015. It is a registered 501(c)(3) nonprofit. CTI opened the first coding school for girls in Herat, Afghanistan in November of 2015. CTI currently provides a safe educational environment for 50 female students aged 15-25. CTI will empower half of the Afghanistan population through education to improve the economy and put under-served women on a path to financial independence.